The advertising calendars has long been part of the marketing tools used in many companies’ advertising campaigns. Whether they are small, large, rigid or desktop, blotter, quarterly or banking calendars, clients are always happy to receive them. 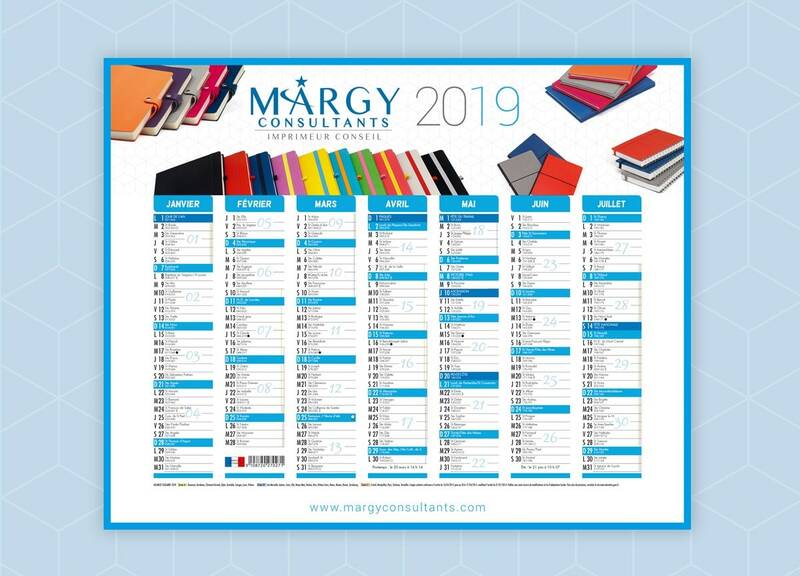 Why not aesthetically coordinate your advertising calendars with your diaries? The promotional bank calendar is an ideal model for a personalised wall calendar. You also have the option to incorporate your logo, the company name or even photos. The rigidity of the bank calendar is actually one of the preferred aspects of companies. 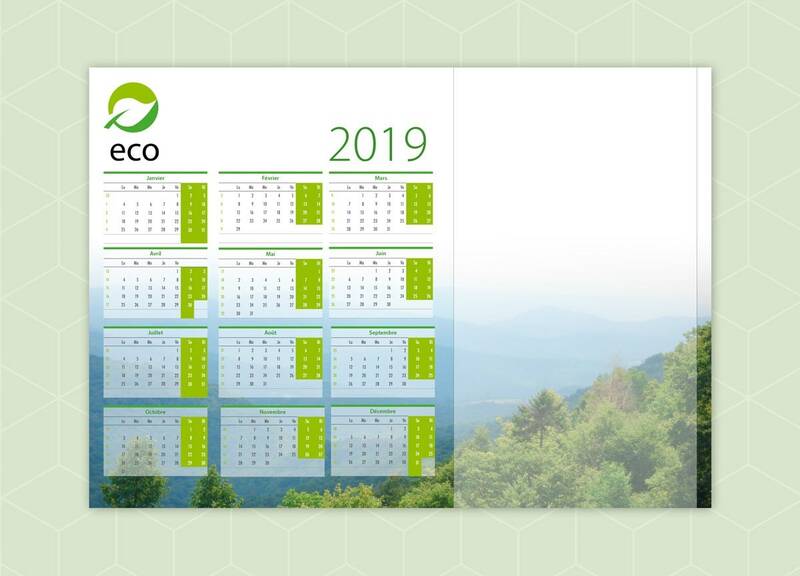 The desktop calendar represents energy and excellence through its shape. The pyramid shape of the desktop calendar is associated with quality. This promotional calendar generally takes centre stage on the desk. In this way, the desk becomes an advertising space for your company. 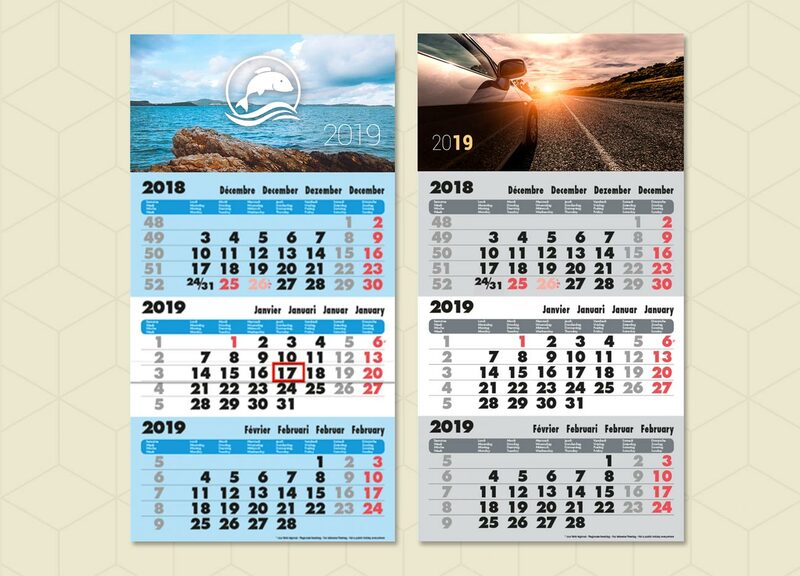 The 3-month wall calendar is a marketing tool that offers various special features. This personalised wall calendar allows you to choose aclear message to be conveyed, that reinforce your brand image. 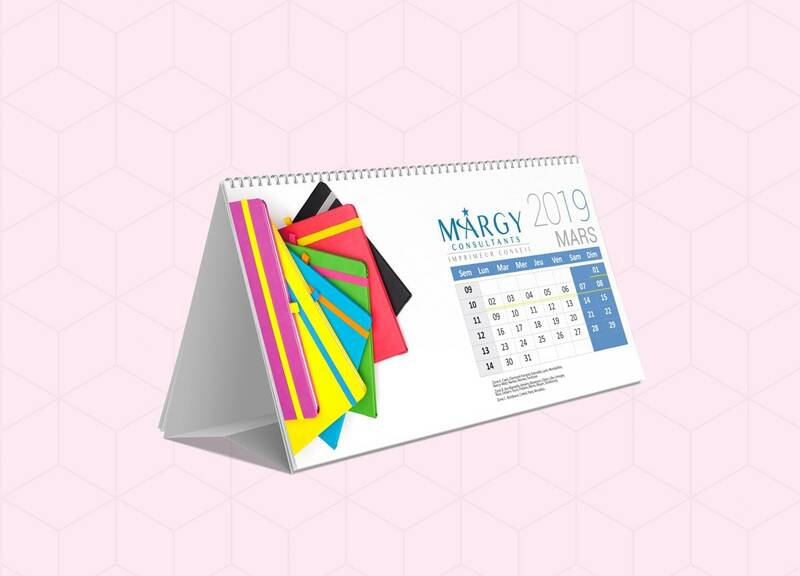 The promotional blotter calendar blends naturally into the background of your target audience. Unconsciously, this personalised blotter calendar for desks reminds the user of your company. The blotter calendar has the advantage of being practical and unobtrusive.